We're usually the ones to endorse any kind of device that promises to keep you cool during the hot summer months. But maybe heat stroke is the lesser of two evils compared to strapping this cooling contraption to your ankle. 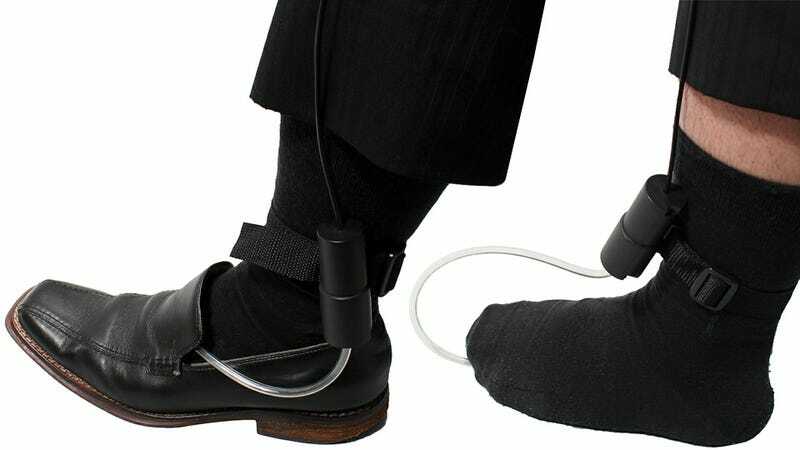 At its core, the 'Muremure Nonnon' shoe cooler is basically just a USB-powered pump that blasts air out of a short flexible hose you're supposed to jam inside your stuffy leather shoes. Like a running shoe it lets your feet breathe, but unfortunately there's not a second hose to then expel the smelly air a safe distance away. Instead, the existing air that's been 'flavored' by your sweaty feet is just released all around you, making your hot situation even more uncomfortable. Who cares if it's just $25 per foot? There are some things that are meant to be kept private, and near the top of that list is unbearable foot odor.